SummerTimeStudio, the mobile game development studio in Okinawa, Japan, brings you its 13th title, Courage of Fire! 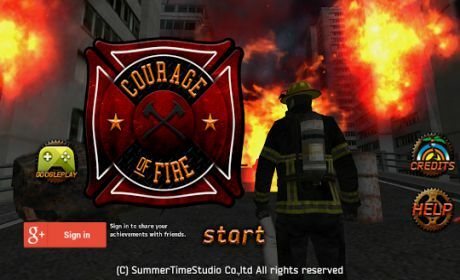 Courage of Fire is a fire survival action game about a firefighter who battles the blaze! 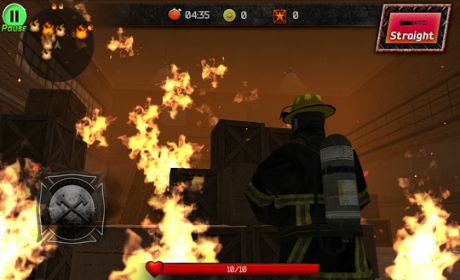 The Firefighter goes into realistically reproduced fires at warehouses, in sewer tunnels, a subway, and an entire city. Once a fire starts, it keeps getting worse and worse. 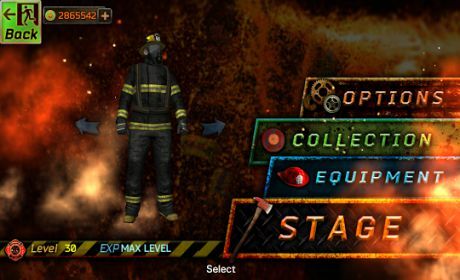 Fire survival battle in the blaze begins now! – Touch screen to turn on the water cannon. – Change point of view to the front, back, left, and right as well as put out the fire! – Movement speed is faster when water cannon is turned off. -Your character will level up by gaining experience. -Depending on the level, you can buy various items which enhance your character. Equip with stronger items to face bigger fires! -As difficulty increases, areas to be extinguished becomes wider. -There are many “hidden flames” that occur when approached. Find all the flames to earn more experience points and coins! -HP will decrease when too close to the flames. Don’t get too close! -Extinguishing time depends on water discharge. Find the best way to put out the fire!